Are you having difficulties when you breathe? Do you have any issues that obstruct your air passages causing you to grasp your breath? If you experience any of these, you might start looking for a quality steam inhaler. For beginners, a personal steam inhaler is a device that pumps steam into your lungs and throat through your nose. 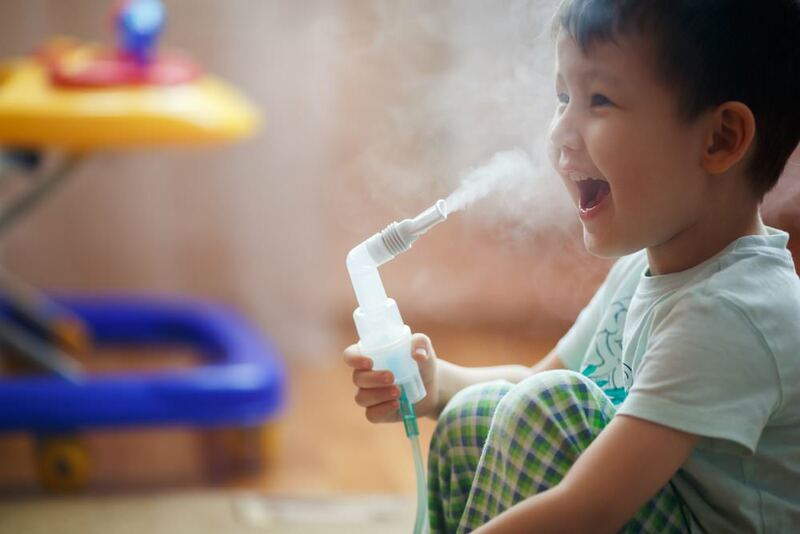 This article will guide you with simple tips in choosing the best steam inhaler in the market. After reading, you can arrive at a definitive conclusion. How Does Steam Inhalation Work? Mabis Personal Steam Inhaler is a good buy for a mid-range inhaler. For one, it’s flexible mask is a major turn on for some customers. If you are willing to spend a little more for convenience and portability, this inhaler might be your best buddy. This 2-in-1 steam inhaler is a good buy for people who wish to clear their throat and pores. Given the fact that it won’t work unless boiling water is available, this could have been a perfect product. Let’s put it in layman’s point of view. Steam inhalation is the process of introducing a hot and moist air to your respiratory channels. Besides, the temperature and moisture in the steam that enters your nose clear the passages from possible congestion. Aside from this, steam inhalation also dilates your airways to improve circulation. Inhaling warm steam is best done with aromatic essential oils. Before the introduction of modern personal steam inhalers, there’s a conventional way of clearing obstructions in your airways. First, you need a bowl of boiling water. Next, place your head over the bowl so that you can breathe in the steam. Then, use a towel to enclose the steam. However, be sure to close your eyes during the entire process to avoid certain irritations. Finally, take in deep breaths and allow the steam to diffuse up to your lungs. Now that you know how steam inhalation works, it’s time for you to know what it does for you. Apparently, there are several benefits that you can get by inhaling a hot and moist vapor. Natural News reports that breathing in steam dramatically increases your bronchial secretions. As a result, it easily lubricates your irritated respiratory tract. Also, the warmth of the steam relaxes your muscles. In short, it relieves coughing and prevents excess drying of your mucous membrane. Once your body temperature rises, blood vessels also start to dilate. Hence, blood circulation develops all throughout your body. Good circulation is beneficial for people who suffer migraines and headache. Besides, increasing your body temperature also stimulates your immune system resulting in a more active defense against diseases. Once you add essential oils to warm water and inhale its fumes, it produces various therapeutic effects. Consequently, the benefits vary depending on the type of essential oil used. 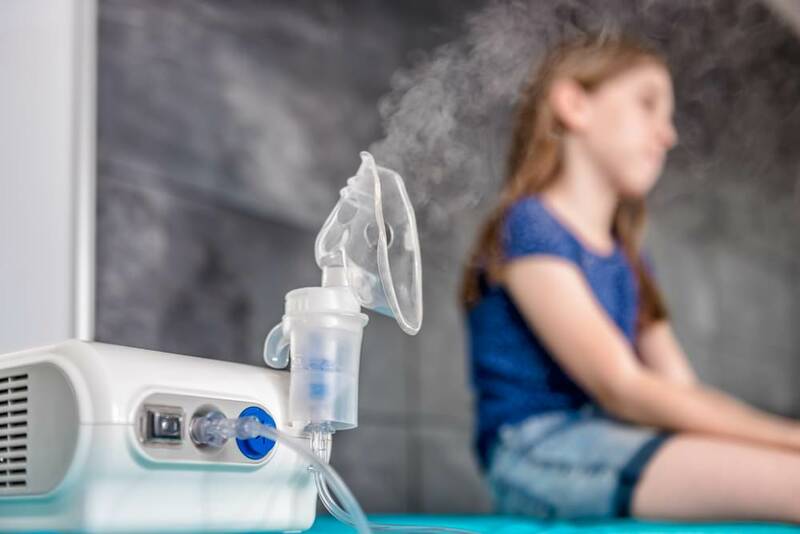 A recent study shows positive effects of steam inhalation to a group with cold symptoms and increased nasal potency. Eucalyptus, cedarwood, and peppermint are some of the most common essential oils used. It is of paramount importance that you check the manner of controlling the steam. You must also verify the maximum and minimum temperature capacity of the device as per its design. Likewise, a perfect device must allow you to easily adjust the temperature whenever necessary. Dreeze recommends choosing an inhaler that will give you a hassle free experience. For example, choose something that is ready for use. Meaning, it is already assembled and ready to pump out therapeutic vapor. In addition, look for something that you can clean and store easily. You will never know where and when will your asthma attack. Therefore, it is best to choose an inhaler that you can carry with you, anytime, anywhere. Obviously, smaller devices are more portable than the heavier ones. The amount of steam produced by your inhaler is an indication of how efficient it works. For instance, people will prefer a huge volume of vaporized steam coming out instead of scalding hot water. In addition, there are some units that eject or “spit” hot water instead of vapors. Clearly, this poses some safety concerns that every consumer is very critical of in first place. 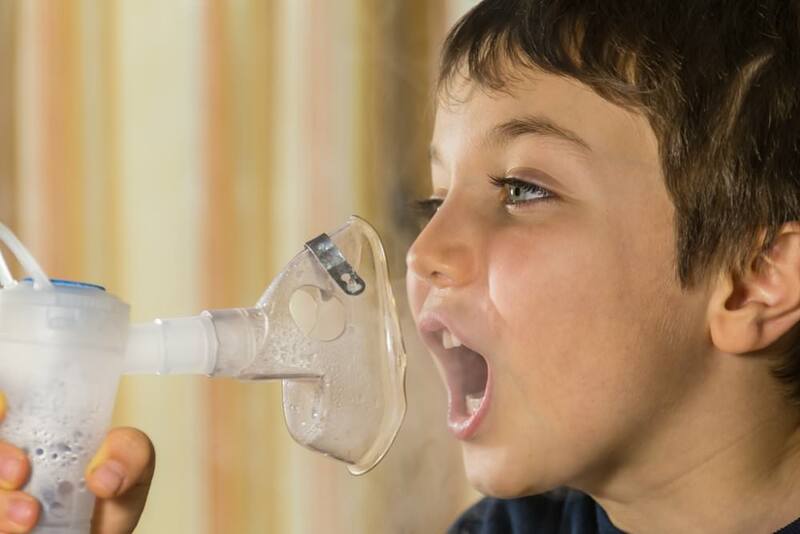 Inhalers are used not just by adults but by kids as well. Recent statistics show there are 6.3 million Americans from ages 18 years old and below who have asthma. For this reason, you need to select a unit that kids can use by themselves with minimal supervision. For example, some models of inhalers do not require boiling water to produce steam. If you’re a parent and your kids use inhaler all the time, this must be your primary consideration. As usual, the price must be one of the deciding factors before making any purchase. Believe me. There are a lot of inhalers available in the market today. Thus, you will never run out of options. To get the best value for your money, try scouting several merchants who sell the specific model you need. In addition, look for coupons and discounts that will slash a few bucks off the price. However, always keep a balance between affordability and quality. I bet you don’t want to spend less and later on realize that what you have is a substandard product. Now you know which boxes to tick when shopping for a steam inhaler that will serve your purpose. It’s time to check the top products available online. Furthermore, we will examine their strengths and downsides to help you reach the ultimate decision. This sleek and stylish personal steam inhaler provide you a natural, safe and effective means to relieve respiratory congestion. More importantly, the warm and moist steam that comes out of this Mabis Personal Steam Inhaler soothes your nose and helps manage your sinus conditions, colds, and dry cough. Aside from a being aesthetically edgy, this personal inhaler has a flexible mask that fits perfectly to anyone’s face. As a result, you get maximum comfort while relieving your respiratory problems. Also, it accepts essential oils so that you can enjoy a variety of scent every time your breathing becomes uncomfortable. Mabis Personal Steam Inhaler is a good buy for a mid-range inhaler. For one, it’s flexible mask is a major turn on for some customers. Moreover, the fact that you can use essential oils is a bonus. Despite the isolated occurrence of hot water splashes and overheating of the body, you might still consider buying it. The reason being, this personal vaporizer is reliable and durable. If portability is important for you, this medical device could easily capture your heart. 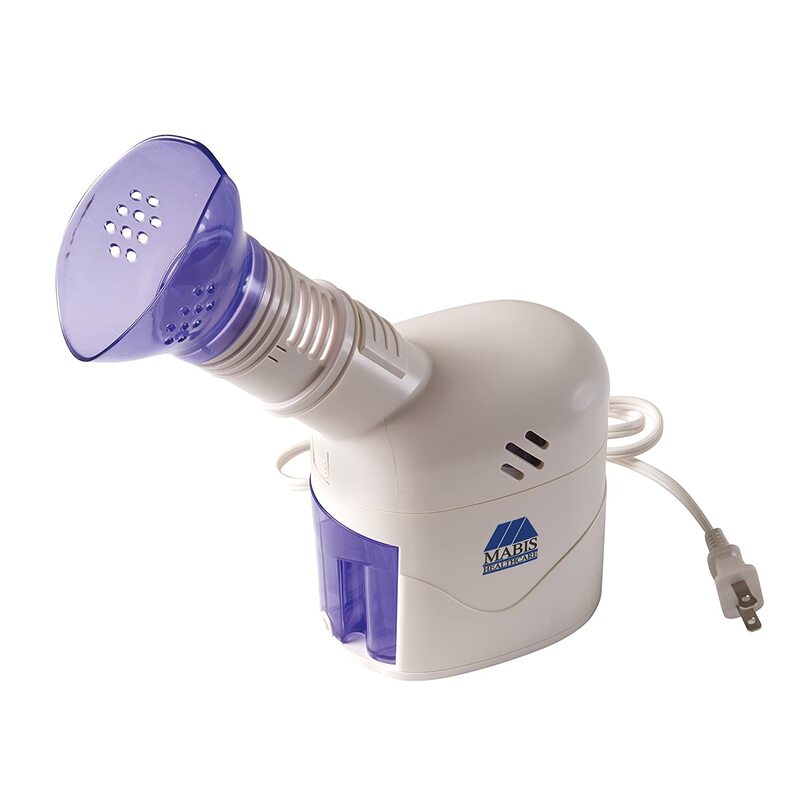 For starters, MyPurMist Handheld Steam Inhaler provides up to 20 minutes of steam therapy to treat breathing congestion. Since it is handy and portable, you can easily bring it anywhere you go. Also, it is easy to maneuver and has a self-drying design. In fact, it has a patented Capillary Force Vaporizer (CFV) design that produces soothing steam in no time. However, due to its portability and small body, it does not have the capability to handle essential oils. If you are willing to spend a little more for convenience and portability, this inhaler might be your best buddy. I personally have this unit for occasional asthma attacks and I love it. The best part of it all is that I can carry it wherever I go. Although it can’t handle essential oils, the manufacturer offers scent packs that you can buy separately. 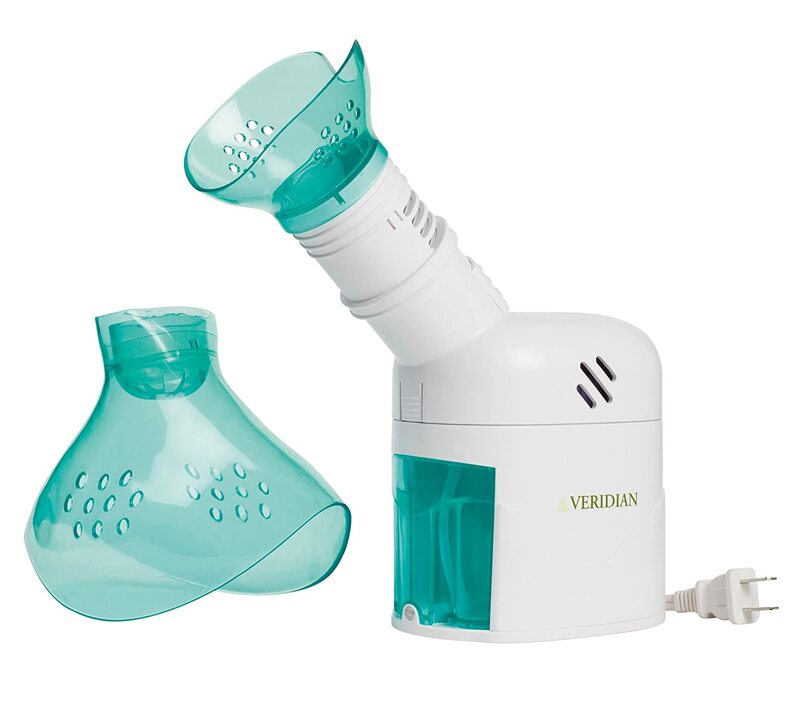 Veridian 11-525 Steam Inhaler and Beauty Mask offers 6 to 9 minutes of soothing steam therapy. It helps clear your throat and sinuses. In addition, its sturdy and durable tank made from high-quality plastic can handle essential oils. Because of this, you can conveniently enjoy a therapeutic steam inhalation using the scents of your choice. If you’re a fan of using steam therapy for cleaning your facial pores, this device allows you to do so effortlessly. It usually takes a minute for this device to convert tap or distilled water into steam. But then again, a more comfortable and unobstructed breathing awaits you in the end. This 2-in-1 steam inhaler is a good buy for people who wish to clear their throat and pores. I personally love the fact that the steam tube is positioned at such a huge angle. Because of this, users don’t need to really lean down. In other words, this product is definitely worth buying. 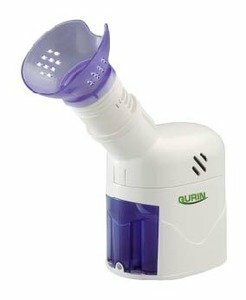 Unlike most inhalers that you see on this list, Gurin Steam Inhaler needs boiling water to generate steam. For this reason, this must be considered carefully for users who are physically challenged or live with children. Despite this, it is still a decent product with the capability of handling aromatic oils. Similar to other sophisticated products, this device can produce steam that can last for 6-10 minutes. This is more than enough to relieve your asthma, allergy, and chest congestion. Given the fact that it won’t work unless boiling water is available, this could have been a perfect product. Nonetheless, this inhaler has several features that you can enjoy. Specifically, users prefer this product because of its pocket-friendly price. Overall, this vaporizer gives you the best value for your money. There you have it guys, the top four inhalers that will clear your throats instantly. However, without any doubt, our roundup winner is the MyPurMist Handheld Steam Inhaler. Why? The reasons are simple and straightforward. First, it is the most portable among the rest. Since it is light, you can also bring with you anywhere. That makes you ready for any allergy or asthma attacks all the time. Second, you can easily control the pressure and temperature of the steam coming out. Finally, it is easy to use and refill. Although it is expensive in comparison to others, you will soon realize that its worth the features and benefits. Is this article useful in making a better and well informed choice? Have we left out any products that’s worth mentioning? Do let us know in the below comments and do share this content with your friends.